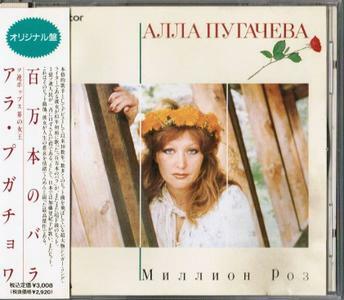 One of Russia's most beloved pop stars, Alla Pugacheva was first heard at age 16 with her song "Robot," produced for a state radio program, and soon her clear mezzo-soprano was all over the country. In 1975 she won the Bulgarian Golden Orpheus Award, which brought her moderate success. Her victory at Poland's 1978 Sopot International Song Festival with the song "Kings Can Do Everything," however, was the turning point in her career, giving her worldwide fame and recognition. From then on, although for many she grew to represent the government-endorsed pop culture that was forced upon the people, her popularity skyrocketed, and Pugacheva released many albums throughout the years. 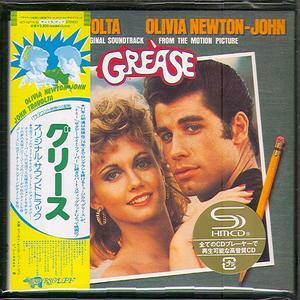 "Grease" is the original motion picture soundtrack for the 1978 film Grease originally released by RSO Records. The song "You're the One That I Want" was a US and UK #1 for stars John Travolta and Olivia Newton-John. To date, it has sold over 30 million copies worldwide, becoming one of the best-selling soundtrack albums of all time. 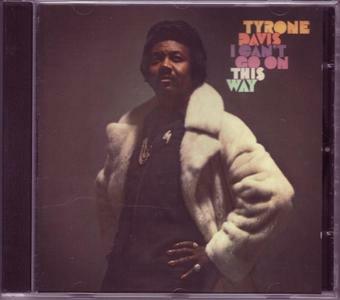 A late 70s gem from Tyrone's years on Columbia Records – one that shows both sides of his talents for the label! The set starts out with an extended clubby groover called "Get On Up (Disco)" – a bumping sort of number that's clearly trying to push him into Johnnie Taylor territory, and which comes off surprisingly well. But even better are the rest of the tracks on the set – which update Tyrone's older Brunswick sound with a smoother, more sophisticated sort of style – still recorded in Chicago, and with some southern soul traces – but usually done in a warmer midtempo groove, with excellent lead vocals and great backing from The Haywood Sisters. Titles include "It's You It's You", "Bunky", "All I Ever Need", "I Can't Go On This Way", and "Can't Help But Say". "Making a Good Thing Better" is an album by Olivia Newton-John, released in 1977. The album peaked at #34 on the US Pop chart and #13 on the Country chart. It was Newton-John's first album not to reach the Country Top 10. The album also ended Olivia's streak of six consecutive Gold albums from 1974's "Let Me Be There" through 1976's "Don't Stop Believin'". In the Netherlands, it became her fourth chart-topping album. The soul-sounding title track was the album single (with "Don't Cry for Me, Argentina" and "Sad Songs") only reached #87 on the Pop chart and #20 on the Adult Contemporary chart. It was Newton-John's first single not to reach the AC Top 10 since 1972's "What Is Life". 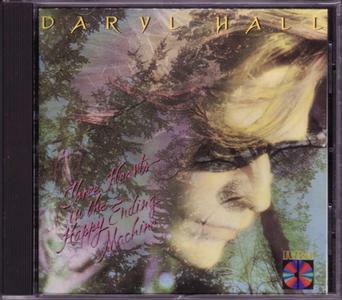 "Three Hearts in the Happy Ending Machine" is a 1986 solo album by Daryl Hall. The album features his only Top 10 solo single, "Dreamtime", which peaked at #5 on the Billboard Hot 100. 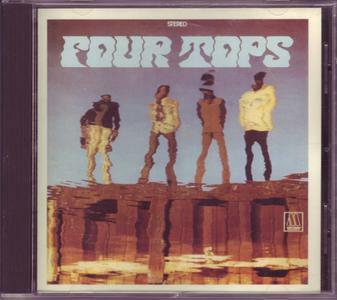 The single, "Foolish Pride", reached the Top 40, peaking at #33. 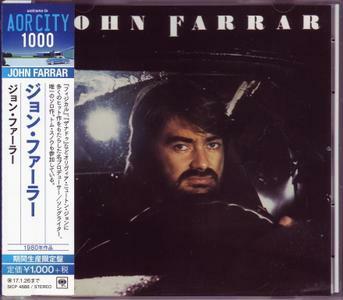 John Farrar is best known as Olivia Newton-John's primary songwriter and producer. This, his only solo album, was released in 1980. It includes several tracks that appeared on Olivia's albums. John wrote or co-wrote all of the tracks and plays most of the instruments, supported by a few excellent session musicians including the late great Mike Botts from Bread, Michael Boddicker and Mike Pocaro. This album is an excellent showcase of John's talents and has stood the test of time very well. A mixture of ballads and rockers, all expertly produced. "H₂O" is the 11th studio album by American pop music duo Hall & Oates. The album was released on October 4, 1982, by RCA Records. It featured three top 10 US singles, one being "Maneater", which was the biggest hit of their career, spending four weeks at #1 on the Billboard Hot 100 chart. 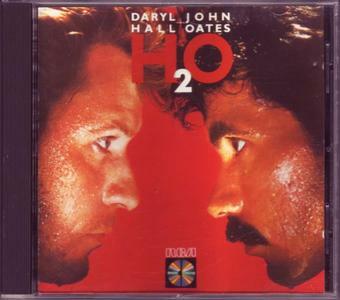 The album title is a play on the chemical formula for water, where "H" is for Hall and "O" is for Oates. "H₂O" is certified double Platinum by the RIAA with sales of over two million copies. 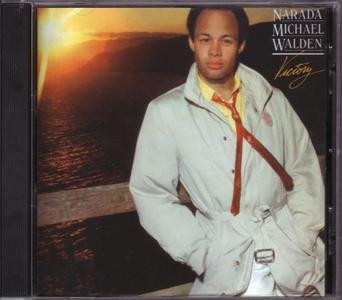 "Victory" is the 5th full-length studio release from noted R&B/soul/pop singer/songwriter/drummer/producer Narada Michael Walden. Released in 1980 on Atlantic, it featured him once again teaming up with producer Bob Clearmountain. 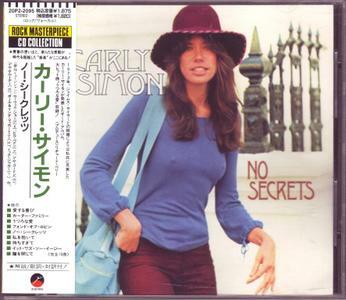 "No Secrets" is the 3rd studio album by American singer and songwriter Carly Simon, released on November 28, 1972 by Elektra Records. The album was Simon's commercial breakthrough. It spent five weeks at #1 on the US Billboard 200 chart and quickly went Gold, as did its lead single, "You're So Vain", which remained at #1 on the Billboard Hot 100 chart for three weeks, and topping on the Adult Contemporary chart for two weeks. 25 years after its initial release, the album was officially certified Platinum by the Recording Industry Association of America (RIAA) on December 12, 1997. The album is ranked #997 in All-Time Top 1000 Albums. "You're So Vain" is ranked at #72 on Billboard's Greatest Songs of All-Time. The song was also voted #216 in RIAA's Songs of the Century. It remains Simon's biggest hit and is considered her signature song. 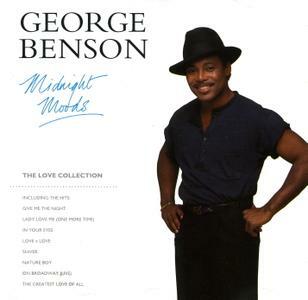 This album includes all George's greatest hits such as "Give Me The Night", "Kisses In The Moonlight", "20/20", "Never Give Up On A Good Thing". 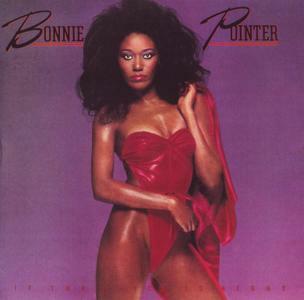 Bonnie Pointer began her career as one-fourth of the singing Pointer Sisters during the early '70s. She married producer Jeffrey Bowen and started a solo career at Motown in 1978. She released two albums of mostly covers of early Motown hits. Bonnie Pointer left Motown in the '80s, following a dispute over her contract. She moved to Private I Records, where she recorded "If the Price Is Right" in 1984. 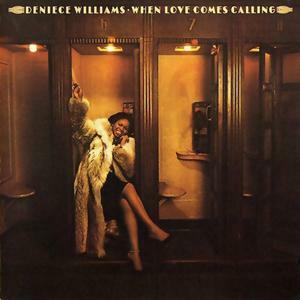 "When Love Comes Calling" is an album by American singer Deniece Williams issued in June 1979 on ARC/Columbia. The album peaked at #27 on the Billboard Top Soul Albums chart. "When Love Comes Calling" was produced by Ray Parker Jr. and David Foster. Artists such as Maurice White, Bill Champlin of Chicago and Toto's Steve Lukather guested on the album. The single, "I've Got the Next Dance", reached #1 on the Billboard Dance Club Play chart. 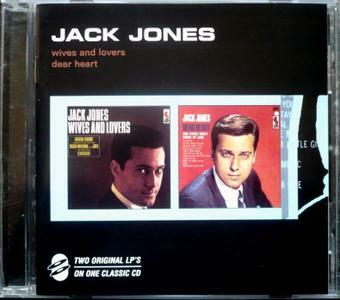 In 1998, Universal released "Wives and Lovers/Dear Heart & Other Great Songs of Love", which contained two complete albums - "Wives and Lovers" (1963, originally released on Kapp) and "Dear Heart & Other Great Songs of Love" (1965, originally released on Kapp) by Jack Jones on one compact disc. 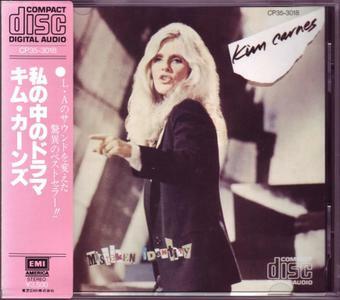 "Mistaken Identity" is the 6th studio album by American singer Kim Carnes. It was released in April 1981 by EMI America Records. It was one of 1981's biggest albums and produced Billboard's number-one song for the entire year, "Bette Davis Eyes". It was nominated for the Grammy Award for Album of the Year. The album spent four weeks at #1 on the Billboard 200, and was subsequently certified Platinum by the Recording Industry Association of America (RIAA). The album spawned three singles, "Bette Davis Eyes", "Draw of the Cards" and the title track, which peaked at # 1, 28 and 60 on the Billboard Hot 100, respectively. The Mistaken Identity Tour found Carnes at the peak of success, selling out arenas and large venues.